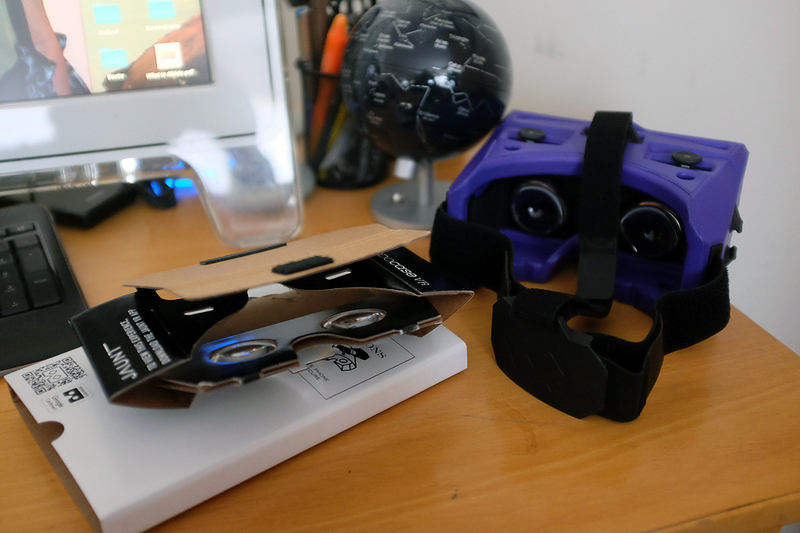 When Google released their cardboard standard for VR goggles, they made the immersive experience possible for anyone who has a smartphone and a viewer. With most of the “heavy lifting” done by the smartphone, the viewer is basically a way to hold everything in the “right” place. Still, it is an important part of the A/VR experience. 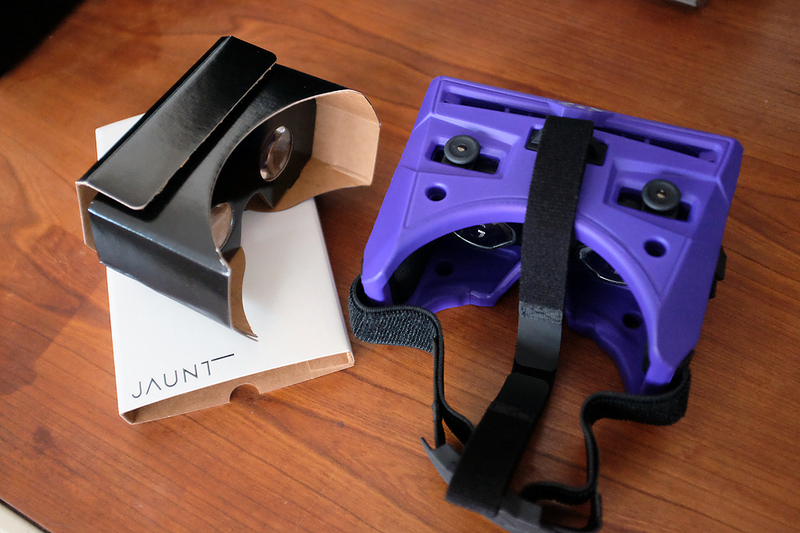 The Google specs spurred the creation of a lot of Cardboard-compliant viewers, with the least expensive ones made from actual cardboard. While those who want to try their hand at making one by grabbing the pattern off the Web, we find the return didn’t seem to justify the effort, especially since the optics will still need to be acquired. 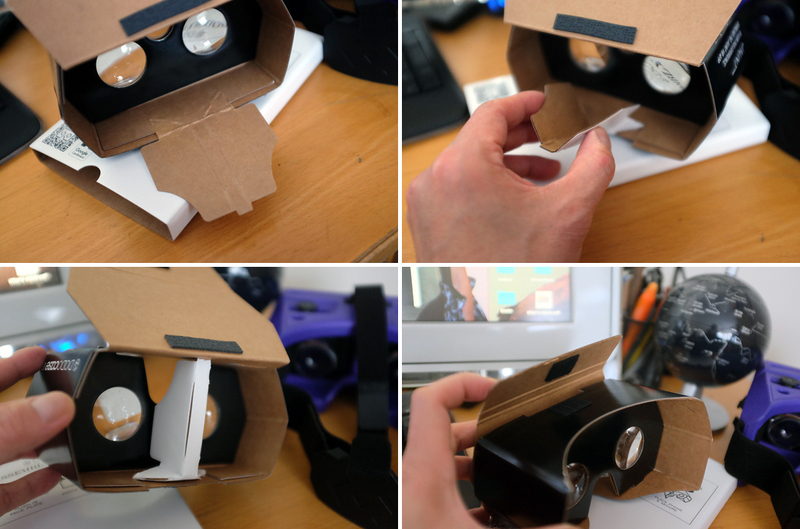 The DODOCase P2 is an inexpensive VR viewer made using pre-scored cardboard. However, don’t let the $15 price fool you. It is big enough to handle even the larger smartphones on the market (iPhone 6+, Nexus 6, Note 4, etc) and will definitely give you a taste of what the VR excitement is all about. 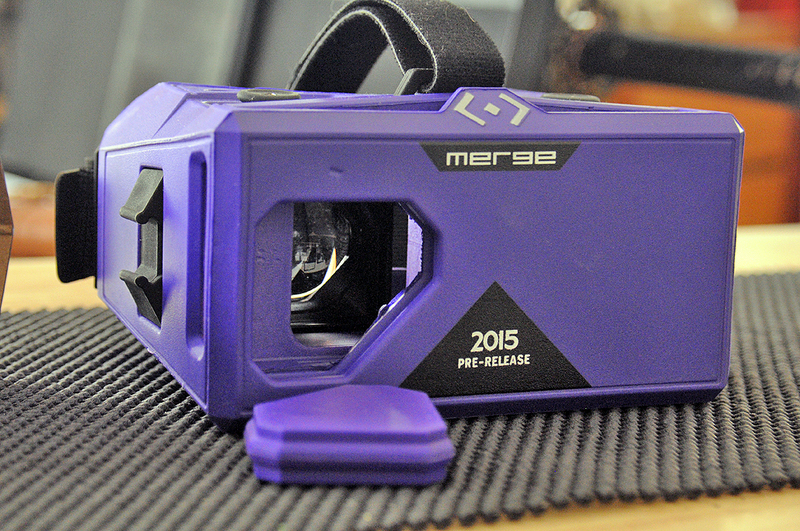 Those who want a more immersive VR experience will want to upgrade from the P2 to the Merge viewer. 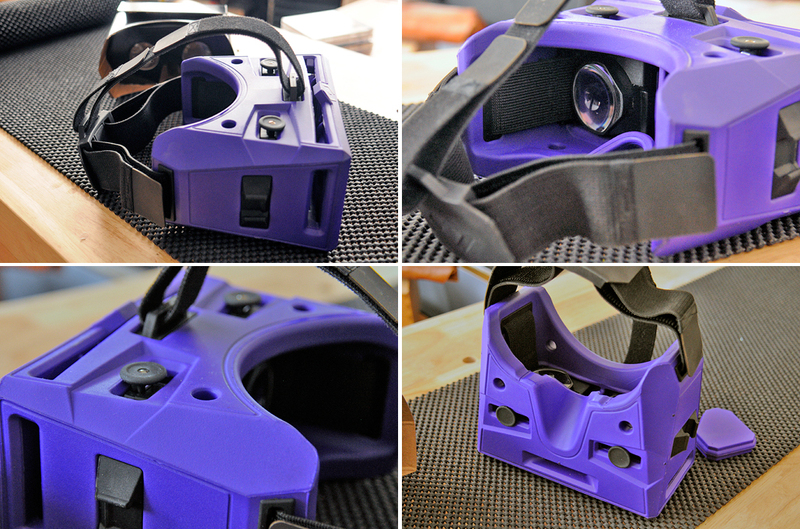 Like the P2, the Merge viewer conforms to the Google VR specs. However, unlike the P2, the Merge viewer will allow the user to strap the goggle on leaving both hands free to work the input controls. The big advantage that a viewer like the Merge has over something like the P2 is ability to adjust for a custom fit. The lens adjusters let the user “dial in” the focus and the velcro straps holding the viewer accommodates any size head. The foam frame is sturdy enough to hold the smartphone steady, yet still soft and and comfortable when strapped onto the face. Another feature of the Merge viewer is the removable panel. 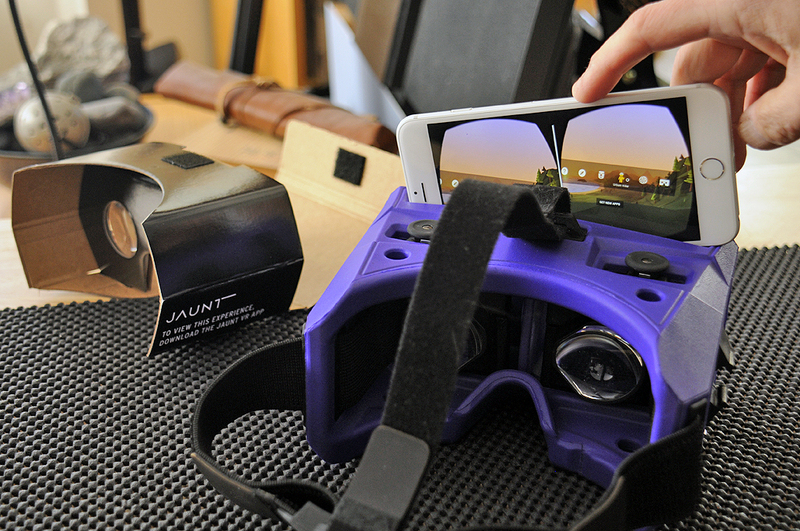 Removing the panel allows the smartphone’s camera to “see,” thus enabling the viewer to support both VR and AR apps. The biggest smartphone we have in house is the iPhone 6+. Both viewers were able to accommodate it without any problems. The phone is held in place in the P2 viewer by a flap secured by a piece of velcro. The hold is snug and we have no fear that it would suddenly slide out. However, should the velcro give way, the phone will definitely go tumbling out. With the Merge viewer, the phone is inserted into a pocket at the front. The fit is snug and there is no way it can fall out unexpectedly. In fact, we had to push from a slot at the bottom to get the phone out. Of course, with a snug fit comes another problem…ventilation. The Merge solved the issue with strategically place openings. The airflow prevents fogging as well as allows for heat exchange. Although the groupings are fairly self-explanatory, we’ll go into a bit more detail about each of them in our next post. Suffice to say, things have come a ways from the ViewMaster.